Award-winning author R.S. 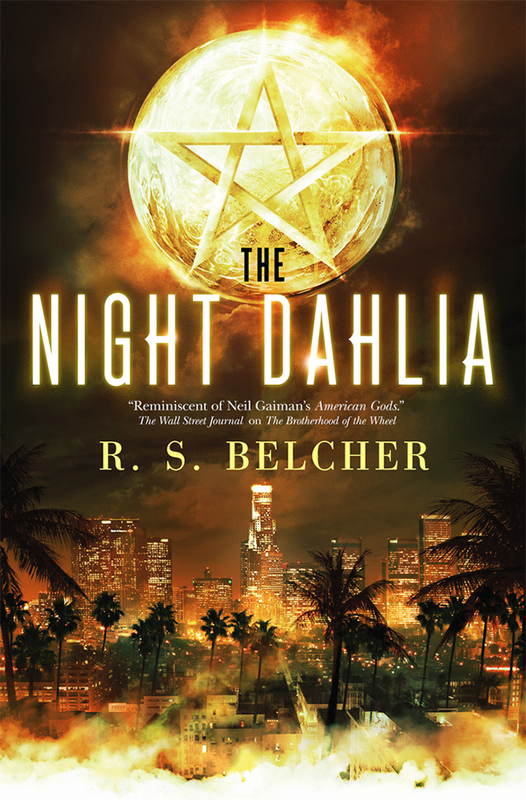 Belcher continues his contemporary noir fantasy series in THE NIGHT DAHLIA (A Trade Paperback; On-sale: April 3, 2018). The sequel to Nightwise, THE NIGHT DAHLIA channels Supernatural and L.A. Confidential as it follows the cynical mage Laytham Ballard through the dark underbelly of a world where creatures of myth and legend mingle. Booklist compares Belcher’s latest noir fantasy to hard-boiled masters Robert B. Parker, James Ellroy, and Elmore Leonard, and RT Book Reviews praises how “Belcher’s boundless imagination and narrative audacity keep this second Nightwise novel racing along.” Magic, horror, and legend combine in this absorbing mystery, a rewarding effort from the weird world-builder, R.S. Belcher. In THE NIGHT DAHLIA Ballard finally confronts his own guilty past. He once protected humanity as part of the Nightwise, a secret order of modern-day mages dedicating to holding hellish supernatural forces at bay. Then a string of sadistic ritual murders shook everything he believed in. Now a powerful faerie mob boss has hired Ballard to find his long-lost daughter, who went missing several years ago. The long-cold trail leads him across the globe. To find Caern Ankou, Ballard will have to confront old enemies, former friends and allies, and a grisly cold case that has haunted him for years. Belcher is known for the unique worlds he creates, such as his Lovecraftian weird westerns,The Six-Gun Tarot and The Shotgun Arcana. His urban legends-based horror novel The Brotherhood of the Wheel has been optioned for TV and The Wall Street Journal compared it to Neil Gaiman’s American Gods. Fans of dark fantasy know that in all the worlds he creates they can always find a gripping read with Belcher.